Born at Bittersby, Leicestershire, Bond was educated first at Repton School. After a year or so working in agriculture in 1875 he entered the Leicester Royal Infirmary as a pupil, and later the same year became a medical student at University College, London. There he served as an Assistant Demonstrator and won the College’s gold medals for physiology and anatomy and the silver medals for surgery, midwifery and medical jurisprudence, and University College later elected him a Fellow of the College in 1924. After qualifying in 1879 he was a house surgeon in the Bedford General Hospital, where he gained the F.R.C.S. In 1882 he returned to the Leicester Royal Infirmary as resident house-surgeon and in 1886 he was promoted to Honorary Surgeon. With Sir Charles Marriott Bond carried through a major reform within the practice of surgery in the Infirmary through the introduction of aseptic methods, bringing about a major reduction in post-operative infections and a consequent improvement in survival rates. He reported on this work in his address on “Septic Peritonitis” to the 1905 British Medical Association Annual Meeting in Leicester. On retiring from the active staff in 1912 he became Vice-President of the Infirmary and one of its Consulting Surgeons, and he held a number of other important local and national medical-related positions. In World War I he was Consulting Surgeon to Northern Command with the rank of Honorary Colonel in the Army Medical Service. In addition to his surgical treatment of both medically-unfit recruits and war casualties at the Leicester Royal Infirmary, and also undertook several missions in France as a consulting surgeon to the Army Medical Service. For this he was twice Mentioned in Dispatches and in 1917 was made a Commander of the Order of Saint Michael and Saint George (CMG) Bond was appointed a Member of a number of government committees and inquiries, including the Inter-Allied Commission on the Treatment of War Wounds, the Medical Consultative Committee of the Ministry of Health and the Industrial Fatigue Council (both of which he chaired), Departmental Committees on first the Cause and Prevention of Blindness, and then on Cancer, the Trevethin Committee on the Prevention of Venereal Disease. He was equally active in professional and related organisations. 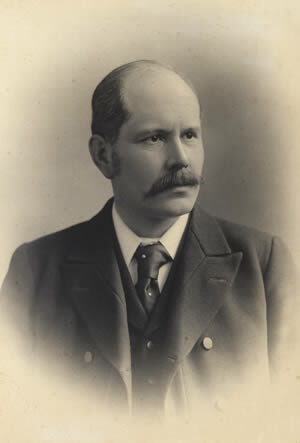 He joined the British Medical Association in 1881 and remained a member for the rest of his life, holding a number of national and local offices within the Association. He was a founder member of both the Sociological Society and the Eugenics Society, though he was best known for his campaigning for the legalisation of euthanasia. He was the co-founder with Dr. Killick Millard of Leicester (Lit. and Phil. President in 1917-18) of the Voluntary Euthanasia Legalization Committee in 1935: Bond was its Chairman to the end of his life, while Millard was the Secretary. Bond was also very prominent in many aspects of Leicester life, serving on the Borough Council for three years as an Independent and a Chairman of Leicester Health Insurance Committee for seven years, and in 1925 was made an Honorary Freeman of the City of Leicester. However, perhaps his greatest interest of his later years was the University College, of which he was a keen supporter and promoter, a generous benefactor and a very active member of the College Council from its establishment in 1921 to his death 18 years later. He joined the Lit. and Phil. in 1894 and quickly moved up to the presidency in 1901-02. He was the Chairman of the Local Committee for the Annual Meeting of the British Association for the Advancement of Science held in Leicester in 1907 at the invitation of the Lit. and Phil. and largely organised by the Society. Among his publications was a 1936 lecture to the Lit. and Phil. The human factor in industry (Leicester, 1926) He was President for a second time in the Society’s centenary year, 1935-36. Presidential Address: One hundred years of change in life and thought 1835 – 1935 Transactions LLPS, vol. 37 (1936), pp. 5 – 31. Sources: Bond, Charles John Who’s Who in Leicestershire (Worcester: Bayliss, 1935); Bond, Charles John Who was Who 1920 – 2008 (Online edition: Oxford University Press, 2010); Bond, Charles John (1856-1939). Oxford Dictionary of National Biography (Oxford University Press, 2004); Obituaries include: Mr. C.J. Bond The Times Nov. 25, 1939, p. 9; C.J. Bond, C.M.G., F.R.C.S. British Medical Journal Dec. 2, 1939, pp. 1120 – 1121.